Identity theft is a big problem. By one estimate, each year 9 million Americans are affected by identity fraud, which includes a wide range of actions from credit card fraud to new bank accounts being opened in your name without your knowledge or permission. Given that so much of our financial lives, from banking to shopping, is now conducted online, opportunities for identity theft have grown exponentially. 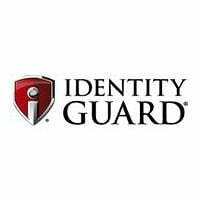 Protecting yourself and your family with identity theft protection is vital. Identity theft is really a two-step process. The first step involves criminals stealing your personal information. This can be done in a number of nefarious ways. For example, a classic technique is for a criminal to look over your shoulder while you enter your PIN at an ATM or during a debit/credit purchase. Other criminals may go through your mail or garbage looking for documents that could provide sensitive financial information. Offers for pre-approved credit cards are especially popular targets for fraudsters, who try to activate these discarded offers you may have received without you realizing it. 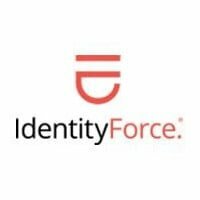 While these low-tech methods of obtaining a victim’s personal information are still popular and effective, in recent decades identity theft has largely shifted to the online world. Spam messages are often little more than ploys to get you to share your financial data with fraudsters. Likewise, hackers have routinely attacked major companies and exposed their customers’ personal information. Once criminals have managed to steal your information, they then engage in the next step of identity fraud: taking over your identity. Again, this step manifests itself in a number of different ways. An identity thief could change your mailing address so that he receives your mail, open up credit cards and bank accounts in your name, make purchases with your financial information, charges you for their medical care, and opens up utilities, like gas and electricity, in your name. Identity fraud doesn’t always have to be financial in nature either. An identity thief could even pretend to be you if they are arrested and have your identifying documents on them. What is the Difference Between Identity Theft Monitoring and Identity Theft Protection? Because it has become such a problem in the digital age, a number of services have arisen to help consumers keep their financial information secret. Identity theft monitoring and identity theft protection both help you ensure criminals don’t get access to your personal data, but it is worth knowing what the difference between identity theft monitoring and identity theft protection are. First, let’s look at identity theft monitoring, also called credit monitoring. Monitoring simply means that you or a company you pay is monitoring your credit score and history. 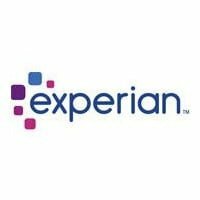 This is often done not just to detect fraud, but also to help you rebuild your credit. Such monitoring can be done by yourself, such as by purchasing a credit report every few months, or by paying a company to keep track of your credit for you. Credit monitoring won’t protect you from fraud per se, but if you notice any sudden change in your credit report, then it could be an indication of fraud, which would thus help you stop the fraud sooner. Identity theft protection, on the other hand, is much more comprehensive and more targeted towards protecting you from fraud specifically. 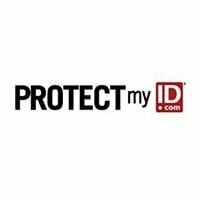 Not only does identity theft protection do what monitoring does, but it also includes other features such as credit freezes and fraud alerts. Many identity theft protection services will also monitor your social media to alert you if you inadvertently share personal information. Others will monitor websites where criminals are known to exchange stolen information to make sure your information isn’t being traded. Who Falls Victim to Identity Theft? Absolutely anybody can fall victim to identity theft. Even the former Director of the FBI, Robert Mueller, has been targeted by identity thieves. However, some groups make for more enticing targets than others. People aged 18-24, for example, tend to be targeted since they often have limited experience with using a credit card and are thus less informed about protecting their financial information. Wealthy individuals, particularly those making more than $75,000, are also targeted, both because the payoff for criminals tends to be bigger and because wealthy people tend to have more accounts that are harder to keep track of. Perhaps surprisingly, children are a favorite target for identity thieves. That’s because children have Social Security Numbers for tax purposes, which can be used by fraudsters to open accounts and credit cards in that child’s name. Furthermore, because parents are less likely to check their children’s credit reports, identity theft involving children is more likely to go on for longer before being detected. 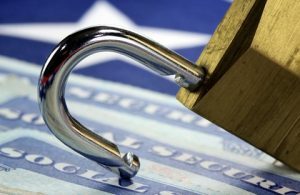 Why Should I Make Sure that I have Identity Theft Protection? The above risks are why you should have identity theft protection not just for yourself but also for your family. 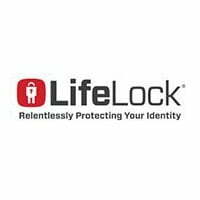 With very little information, criminals can assume your identity, thus wrecking havoc with your finances, credit rating, and personal reputation. The damage could take months and even years to undo. When looking for identity theft protection services, be sure to compare your options. That way you can rest assured that you have the highest standard of protection possible and that your personal and financial data is being kept secure.